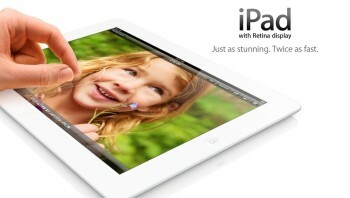 The Media Technology Monitor, a research arm of the CBC, reports the iPad is still the dominant tablet in Canada. Their latest report says as of last fall, an estimated 26 per cent of Canadians had a tablet with two thirds owning an iPad, and 15 per cent had either a PlayBook or Android tablet. Owners of iPads were found to be the most enthusiastic about their purchase. While a vast majority of all tablet owners said they would definitely or probably recommend their device to family and friends (86 per cent), the numbers were even higher for those with an iPad, at 91 per cent. About 61 per cent of iPad owners said they would definitely recommend their tablet, compared to 44 per cent of other tablet owners. iPad owners were also more active on their tablets with 38 per cent indicating they used their device several times per day versus 25% of other tablet owners. The most popular use for tablets were internet (86%), games (59%), reading the news (51%), using social media (49%), watching videos (39%), reading ebooks (35%), listening to audio (31%) and Netflix streaming (11%). The majority of respondents (82%) said they used their tablets at home most often, followed by 8 per cent using tablets at work and the rest a combination of minor usage at school, during traveling, in a coffee shop or on transit. How often are you using your iPad? Do your friends have iPads or other tablets?